How can we use evidence to create more equitable public health systems in our communities? 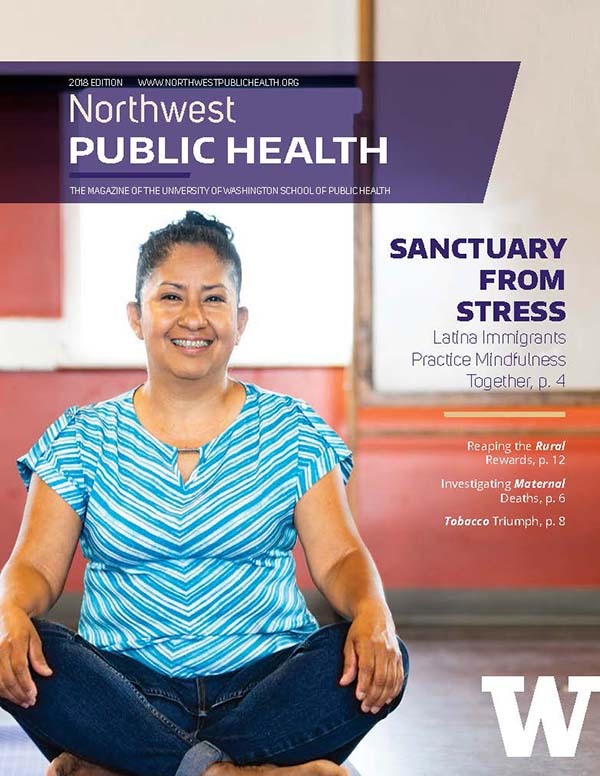 The 2018 issue of Northwest Public Health explores how public health professionals in our region are generating and using evidence for better decision-making, policy development and program planning at state and local levels. Highlights include a feature on the Amigas Latinas Motivando el Alma (ALMA), a mindfulness project that helps Latina immigrant women build coping skills to combat depression and anxiety. Led by faculty member India Ornelas, MPH, PhD, the team is working with community partners to build an evidence base for future programs. Other stories showcase how key stakeholders in Washington state are using data to investigate and prevent inequitable deaths of mothers, and how public health advocates used persuasive data and stories to raise the legal purchasing age of tobacco to 21. Also in this issue: a profile on Beth Mizushima (MPH ’10), deputy director for Grays Harbor Public Health & Social Services, and her passion for rural public health work; a Q&A with Janet Baseman, MPH, PhD, the School’s new acting associate dean for public health practice, and an opinion piece calling for better regional data and collaboration among researchers, practitioners and community members to address the health challenges from wildfire smoke.